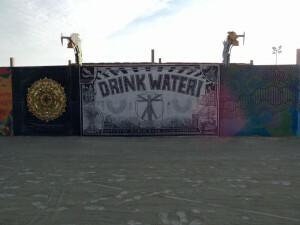 Here are some pics of the Drink Water! 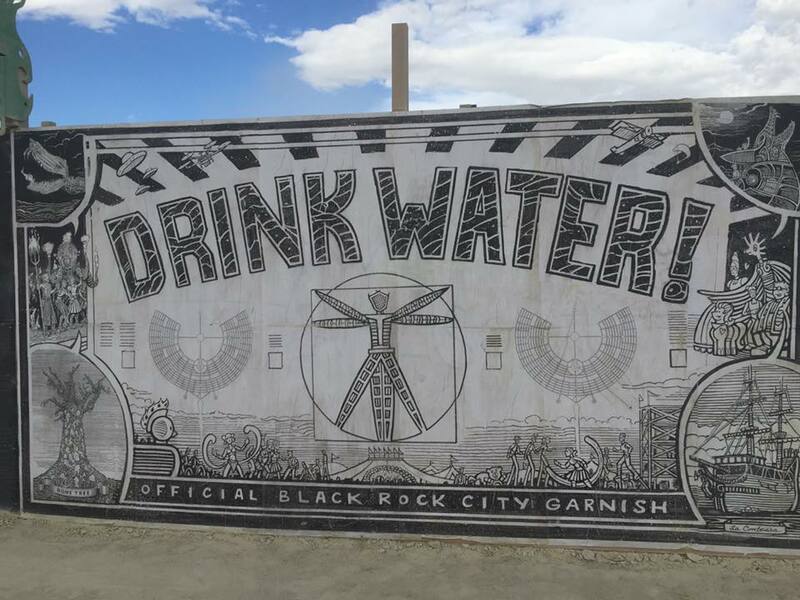 mural from Burning Man 2016! 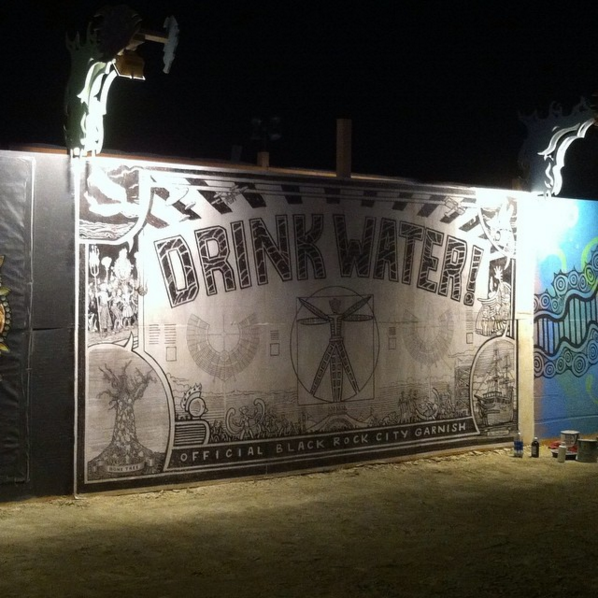 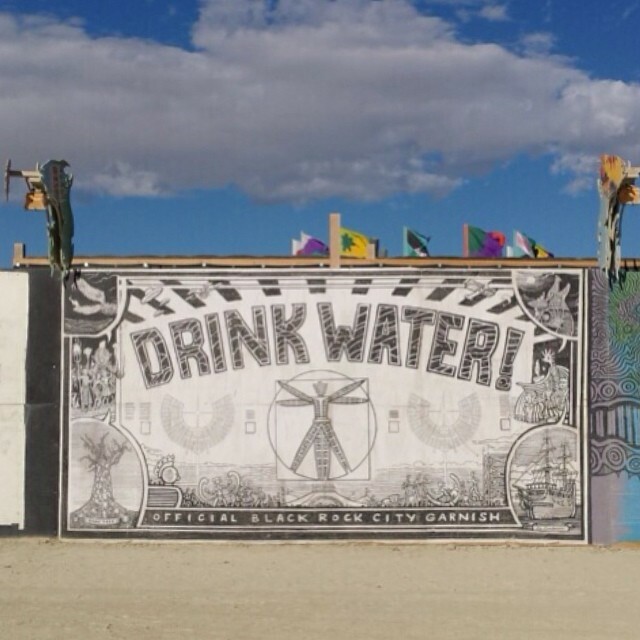 The Mural measured 8×16 feet, and was put up at Center Camp on Saturday night before the gates opened.